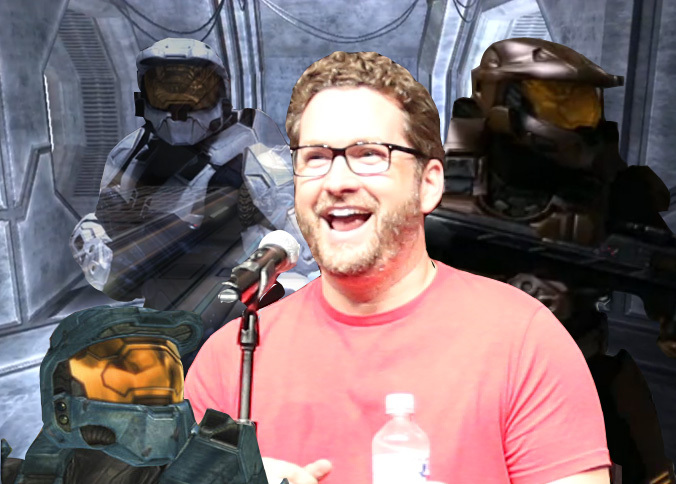 Matt Hullum voices Sarge, Doc, & Wyoming on Red vs. Blue. Words cannot even begin to describe how awesome this morning was. 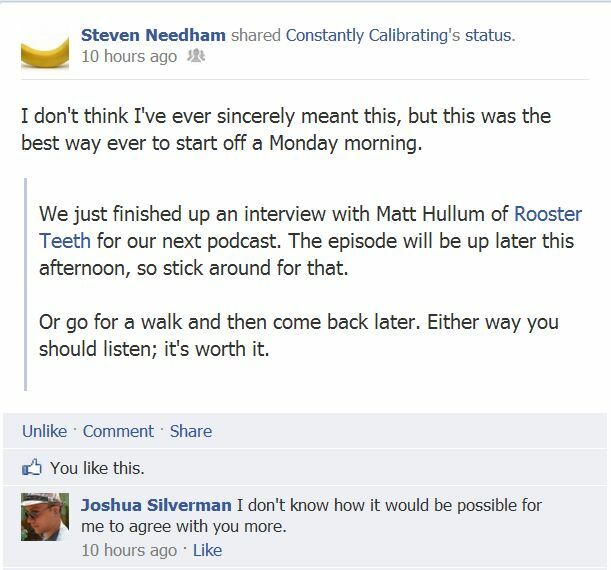 Steven and I wake up, have breakfast, hop on the computer and within a matter of minutes are talking to one Mr. Matt Hullum. You might know Matt from the popular web series, Red vs. Blue. 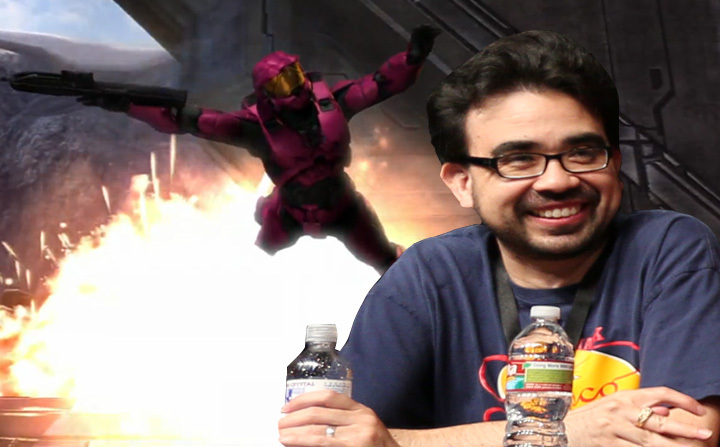 Why am I saying might, of course you know who the guy is; if not by name then by the one of the many voices he does on RvB. Over the last 10 seasons (Red vs. Blue is currently in it’s 10th season) Matt has played the character of Sarge, in addition to doing the voices of both the freelancer Wyoming and everyone’s favorite purple medic, Doc. Well there’s not much more I can really say, except that we hope you enjoy the interview. 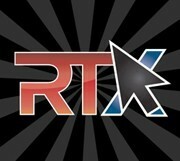 If you’re going to be attending RTX in just over 11 days, make sure you let us know! We would love to meet up with some Rooster Teeth fans at the upcoming expo. Just as a heads up, I am fully aware of the tinny effect happening during some points of the podcast. This is likely due to the reasonably low-quality microphone we’re still using. There is a way you can help us improve the quality of our podcasts, and this is the point you probably begin to tune me out because I’m obviously about to hit you up for money. Alas, this is the case, so feel free to ignore. However, if you would like to see our little podcast improve, then it would be appreciated if you could click that little Audible banner in the top right of your screen. Heading over to AudibleTrial.com/ConstantlyCalibrating and signing up for one of their free trials would help us out and would help you out as well. How? Well by signing up for a free trial you get a month of their service in addition to a free audiobook to jam into your earholes. Sounds kind of like win-win to me. Time for the shortest of short podcasts that has ever shortened a podcast. A quick intro and into our big announcements about Rooster Teeth Expo. Make sure to listen and let us know if you have any questions for Matt Hullum. Also note, that despite it being a shortened more announcement related podcast, this does not mean that we have stopped rambling incoherently. That is part of our charm after all. Well we’re long overdue in discussing this, but it’s now time for us to talk about the upcoming Rooster Teeth Expo happening in Austin, TX. RTX is a two-day event taking place July 7th and 8th at the Austin Convention Center; hosted by the fine fellows over at Rooster Teeth. You might know the name Rooster Teeth because they are the gentle Internet deities behind the popular web-series Red vs. Blue as well a varying multitude of awesome Internet stuff. Why the extreme excitement for RTX all of a sudden? Well, because Constantly Calibrating will be at RTX in two weeks providing all sorts of interviews and video coverage of the event. We’re still working out the details of what exactly we’ll be able to bring you, but rest assured that we’ll bring you the same class and quality you have come to expect of us over the last few months. So…keeping your expectations low might be wise. Just kidding…maybe. RTX is the brainchild of the great minds at Rooster Teeth, the team behind the longest running web series of all time, Red vs. Blue. Rooster Teeth created RTX to bring game companies, gamers and online video lovers together for one great weekend in Austin, TX. RTX is all about playing new games and creating new online content. This year RTX will be open to the public for the first time and will give attendees the opportunity to play games, interact with one another and sit in on panels about creating online content led by industry experts including the Rooster Teeth team.